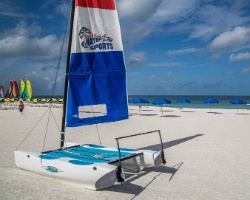 Stroll the powder white beaches of Marco Island each and every year with your very own accommodations at Marriott's Crystal Shores resort. Find luxurious timeshares for sale and rent at prices up to 70% lower than retail costs today. Positioned perfectly on the beaches of Marco Island, the Marriott Crystal Shores resort provides a master class in luxury accommodations. Just steps from the sea, this stunning property delivers a wide range of features designed to make your beach getaway flawless each and every year. A modern swimming pool illuminates at night alongside waterslides and cabanas, while a beachside bar and grill provides refreshments right on the ocean. The resort's proximity to local attractions puts you in the center of a lively year-round destination, allowing you to truly take in all Marco Island has to offer. Towering above the sea, the accommodations at the Crystal Shores Marco Island are comprised of multi-bedroom villas that are equipped with luxurious homelike amenities. With floor-to-ceiling views of the island and the sea, you'll have the perfect place to call home in your tropical paradise. Enjoy desirable features like fully-equipped kitchens, private balconies, and modern furnishings that will ensure a comfortable stay. Are you ready to secure your very own accommodations at this masterful resort? Fill out the form on this page to learn more about buying a timeshare at the Marriott Crystal Shores, or call a representative at 1-877-815-4227. Buying a timeshare at the Crystal Shores resort can provide you with years of amazing trips to Marco Island filled with exclusive benefits. 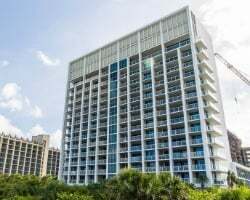 However, if you purchase that timeshare on the resale market, you could reap those same rewards and still save thousands of dollars in the process. Unlike traditional timeshares sold straight from the resort, timeshare resales are sold by current owners, and often carry much more affordable price tags. 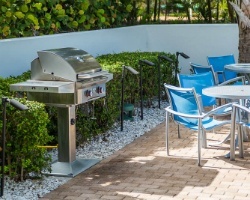 You can find the same great accommodations at the Crystal Shores resort and save up to 70% on overall cost, giving you the deal of a lifetime. Timeshare resales at the resort are available in deeded fixed and floating weeks spread throughout Marriott's Silver, Gold, and Platinum seasons. You'll have a variety of price points and unit sizes to choose from, ensuring you find a timeshare that fits your vacation preferences. Additionally, you can unlock further vacation benefits through the Marriott Vacation Club. 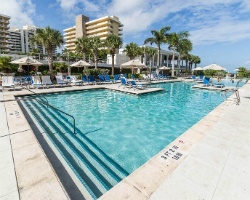 The Crystal Shores Marco Island is affiliated with the Marriott Vacation Club, one of the world's best vacation ownership brands. As a timeshare resale owner at the resort, you'll have the unprecedented opportunity to join the club at all-time affordable costs. With your Marriott timeshare week, you can upgrade your ownership within the club to Marriott Vacation Club Destinations points, allowing for a more streamlined vacation planning experience. What's more, you can discover alternative vacation possibilities through your newfound club membership by spending points at other Marriott timeshare locations all over the world. The Marriott Crystal Shores Marco Island is also affiliated with Interval International, one of the world's best timeshare exchange brands. Exchanging your timeshare can lead to years of exciting trips to destinations other than Marco Island, allowing you to truly explore the world. Simply obtain a separate Interval membership, deposit your Marco Island accommodations, and trade for stays at comparable resorts around the globe. The Crystal Shores resort is an Elite-rated resort with Interval International, meaning you'll be able to exchange with other top-tier resorts in their network. You'll have no shortage of desirable amenities and services located on-site at the Crystal Shores Marriott. The resort's beachside location is its best amenity, offering instant access to days of swimming, paddle boarding, sunbathing, and relaxation. The swimming area consists of several swimming pools complete with features like enclosed cabanas, water slides, and lounge chairs. Stilts Beachside Bar & Grill offers cold cocktails and delicious food just steps from the shores of Marco Island's beaches, while the on-site marketplace provides quick bites and last-minute needs. Locally, you'll find a world ready for exploring on Marco Island. Those with their sea legs will love chartering a deep sea fishing excursion to try their luck at snapping up one of the Gulf's many catches, while catamaran sailing trips around the island are the perfect way to take in the scenery. Golf is easy to find on the mainland at the Hammock Bay Golf & Country Club, while the city of Naples provides more delights like nightlife, fine dining, and more. Hunt for shells along the Paradise Coast, or glimpse dolphins, manatees, and more wildlife by touring Ten Thousand Islands. Already Own at Marriott’s Crystal Shores?